The following Q&A with Pete Jones comes from the Storyhunter blog and is cross posted with permission. Pete Jones is the senior producer at Framestore’s VR Studio in New York–the world’s first dedicated studio of its kind. Since the studio’s opening in 2014, Jones has helped drive a number of milestones in the VR space. His work includes HBO’s massively successful Game of Thrones “Ascend the Wall” experience and over a dozen other projects across Oculus Rift, Google Cardboard, and Samsung Gear VR. Jones has ten years of experience in VFX across film, television, commercials, and VR, and has worked with Framestore for over seven years. He recently served as a panelist for the Virtual Reality category in the AICP Next Awards 2016. Pete Jones, Senior Producer at Framestore VR. Courtesy photo. How is virtual reality important to storytelling? Pete Jones: Whether it’s important to storytelling as we think of it now is a hot topic that will probably continue to be debated until the time somebody produces a really convincing example of a VR movie. We need to think about what stories are, as the advent of VR asks a slightly different set of questions from its audience. The paradigm has shifted and we’re now users rather than just viewers, which challenges us to look at what a story actually is. Does it have to be driven by a narrative and contain characters and dialogue, or can it simply be an experience? The platform is compelling because it elicits a completely different feeling from other forms of media, and so we must ask different questions of it in order to tap into its potential. What areas of media do you think VR will have the most most impact on? Jones: Gaming will be affected fundamentally and early because of the use of real-time rendering game engines to create content it’s all set up for game developers and their target demographic. The applications for the technology are far reaching though, and you can expect to see applications developing for training in all areas, but particularly well resourced fields such as medicine and the military. Social media will never be the same again either, as the power of sitting in a room with someone on the other side of the world is scarily immersive. How do you think VR will impact journalism now and in the future? Jones: I think it’s hard to say, as journalism is a craft in and of itself. Certainly there is scope there to transport people to a place and impress on a user the atmosphere of an event, whether it be a sporting moment or a war zone. But as with film and other media with a rich history, language, and craft, VR will find its place alongside those disciplines—contributing rather than competing. How will it impact advertising? Jones: VR, when done well, gives the user something that you can’t get with anything else. Anyone who’s put on a headset and taken part in a great experience will testify to that. Harnessing that power, whether to tell a story, to entertain, or to sell cola, can be an extremely effective way to get the message across and get it to stick. If what we expect to happen does in fact happen and we see mass adoption of VR headsets across a number of platforms in the next year, brands will be taking part en masse. Should commercial producers invest more into VR? Jones: Absolutely. If you’re not already being asked about 360° camera rigs, tracking volumes, and binaural sound—you will be! 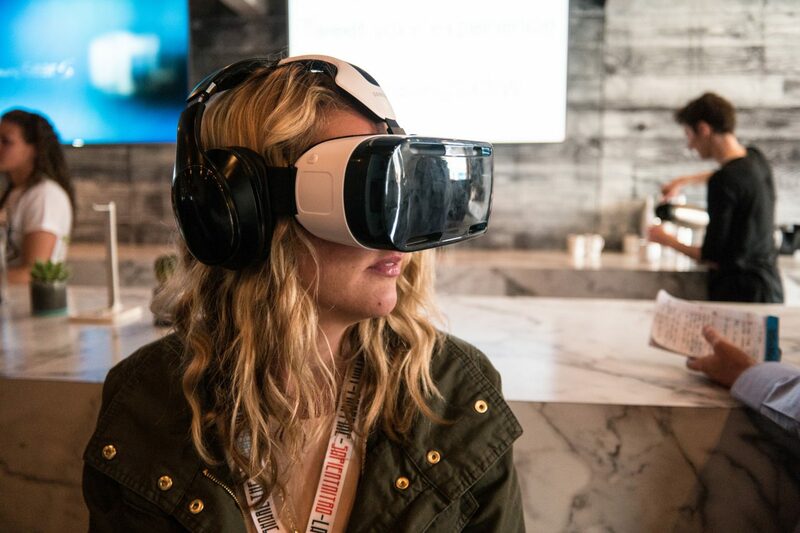 How should brands and marketers approach VR? Jones: That’s the big question, but the projections for growth are very encouraging. The key for marketers is finding the best fit for their brands, as VR is such a massive area that covers video, gaming, mobile, installation, everything across all art and entertainment! The eternal question for every idea is “is this a good fit for VR?” If it can’t be done on any other platform, like on a computer screen with a mouse, then that’s a really good start. Storyhunter, founded in May 2012 by a group of journalists, filmmakers and web developers, is a talent marketplace and network for video professionals worldwide. This piece first appeared on the Storyhunter Blog.